Greetings again from the darkness. It might seem peculiar for the director of the Pirates of the Caribbean franchise, The Lone Ranger, and the Oscar winning animated Rango to be the driving force behind an atmospheric Gothic mystery-thriller, but Gore Verbinski seems to ignore any attempt to generalize or label his films. In fact, this latest film (written with Justin Haythe) attempts to challenge genre conventions by cloaking us in familiar themes and expecting us to be surprised by the late twist. Dane DeHaan has established himself as an actor with no boundaries. He has played characters as diverse as James Dean in Life, and Cricket in Lawless. This time he dons a business suit as Lockhart, an ambitious, young, morally flexible, workaholic financial hotshot. By bending a few FCC regs, Lockhart has maneuvered himself into a plush corner office on Wall Street, and is now strong-armed by senior management into taking on the less-than-appealing task of traveling to a “wellness spa” in Switzerland in order to bring back the CEO whose signature is necessary to complete a lucrative merger. The cinematography of Bojan Bazelli is gorgeous throughout, and it’s literally breathtaking as we view the Manhattan cityscape, and then follow Lockhart’s train streaming through the Swiss Alps mountains and tunnels. These are the “wow” shots, but the camera finds beauty even once the story takes us inside the sanitarium with the dark history … and confounding present. The building’s history seems somewhat sinister, but its current day secrets are every bit as creepy. What exactly is the sickness that “the cure” is treating? Why does no one ever leave? What’s with the eels? What’s with the water? Why are teeth falling out? Why are the townfolks so off-put by those on the hill? What answers do the puzzles bring? Shutter Island offers the most obvious comparison with its similar tone and atmosphere, but others that come to mind include The Island of Dr. Moreau, One Flew Over the Cuckoo’s Nest, and especially, Hitchock’s Rebecca. Verbinski makes marvelous use of sound throughout – whether it’s Lockhart’s creaking crutches, the squeak of doors, the drip of ever-present water, or the metallic whir of machines. The look, sound, and feel create the tension necessary to prevent viewers from ever really relaxing, even if we wish the movie wasn’t so darn long. Filmed at Castle Hohenzollern in Germany, it’s a perfect example of how on filming on location adds an element that no soundstage can hope to achieve. Support work comes from some familiar faces like Jason Isaacs as Dr. Volmer, Celia Imrie, Carl Lumbly, Ivo Nandi, Harry Groener, and Adrian Schiller. However, it’s Mia Goth (Everest, 2015) who has the biggest impact on screen outside of DeHaan. Her unusual look and slightly-off mannerisms are perfect for the role of Hannah, who is so crucial to the twist. 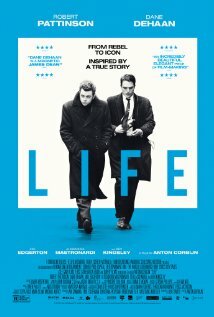 Spanning two-and-a-half hours, the film abruptly flies off the rails in the final 15 minutes. 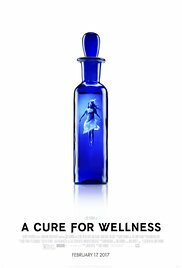 It acts as a release for the stress it has caused, and as a reminder that director Verbinski likes to have fun with his films. 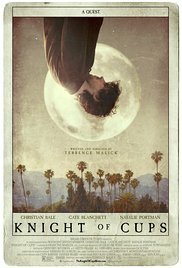 It’s quite possible that the film will struggle initially to find an audience, but later find success as a cult favorite and/or midnight movie. Whether you deem it silly or creepy, love it or hate it, you’ll likely appreciate the look of the film and the creative surge of Verbinski. At a minimum, it will generate some talk about Big Pharma and how we seem to always be searching for a “cure” of the latest societal ailment … or you may just have nightmares about eels in your bathtub! Greetings again from the darkness. 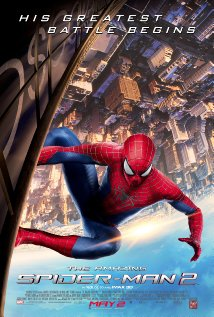 This follow-up to The Amazing Spider-Man (2012) seems to have the mission of throwing as much onto the screen as possible. There are not one, but three key villains, a teenage love story, a deathbed scene, numerous moments of soul-searching, a stream of wise cracks and puns, the most outrageous laboratory setting, a cartoonish evil doctor accent, the constantly furrowed brow of Aunt Mary (Sally Field), flashbacks and video of the mysterious father, teasers for future movies, and of course, enough action and special effects to ward off any thoughts of peace. Personally, I find Andrew Garfield to be a nice fit as Spidey, but I just can’t buy him as ultimate science geek Peter Parker. He bumbles about and bats his eyes too much for my tastes, and can’t stand toe to toe with Gwen Stacy (real life squeeze Emma Stone) in scientific banter. Still, the original story is interesting enough that any minor issues are easily overlooked. At its core, this entry is a story of revenge. The foundation for Peter Parket’s troubles all stem from Oscorp, so we are treated to some behind the facade sets that will keep viewers on their toes. After an initial face-off with bad guy Aleksei Sytsevich (a maniacal Paul Giamatti), we see the transformation of goofy Max Dillon (Jamie Foxx) into the shocking (get it?) Electro. If that’s not enough, childhood buddies Peter Parker and Harry Osborn (Dane DeHaan) are reunited to set the stage for more good vs evil. The story would have benefited from more concentration on any of these three stories, while dropping one altogether. The viewer would have benefited from a slower jolt (one more!) in the transformation of Max to Electro. We needed to find the humanity, rather than just desperation. The same goes for Peter and Harry. The dots are a bit too far apart for connection, though DeHaan (so good in Lawless and Chronicle) is a striking contrast to the doe-eyed, beautifully coiffed Garfield. It’s nice to see Stone’s Gwen portrayed as a smart, ambitious young woman who also understands how demanding a relationship is, and the responsibility that goes with dating a superhero. Speaking of responsibility, the lack of Uncle Ben’s influence here is disturbing, though probably necessary given the exploration of backstory on Peter’s parents (Campbell Scott, Embeth Davidtz). When Paul Giamatti reappears near the end as Rhino, it’s a bit difficult to not think “enough is enough”. And oddly, this fight sequence ends abruptly, evidently setting the stage for future Spidey. And speaking of the future, the end credits scene plays as nothing more than a teaser trailer for the next X-Men movie, while robbing us of any details to the Sinister Six. Admittedly, I feel somewhat overdosed on Superhero and Comic book adaptations, yet the action and effects are still quite fun to watch, even if director Marc Webb (Ok, that pun is just too easy) seems to jumble up too many story lines.